Rings make for a perfect accessory to mark some of life’s most significant moments, from engagements to anniversaries. Perhaps the most important occasion that you may require a ring for is your wedding, being a traditional part of the ceremony as well symbolising you and your spouse’s commitment to each other. 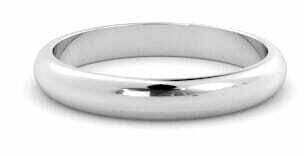 Not only does a wedding ring mark this important milestone, but it will also stand as a testament to the love between you and your partner throughout your lives. 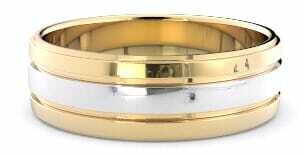 GoldeNet will happily work in accordance with you and your partner’s preferences, carefully selecting the appropriate rings for you or designing your dream ring according to your specifications. Encompassing everything from simple wedding bands to artfully crafted diamond wedding rings for both men and women, GoldeNet offer classic, innovative designs for men and diverse, stylish designs for women. 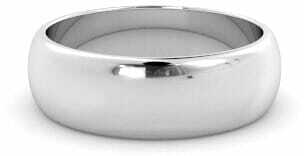 View our range of wedding rings at our Melbourne showroom or browse the stunning range online. 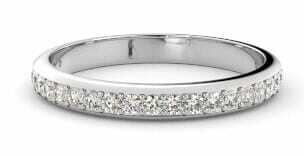 Those who wish to step outside the bounds of tradition while remaining elegant and tasteful should consider a diamond wedding ring to celebrate their union. 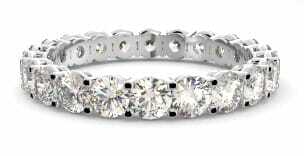 The addition of diamonds elevates your wedding ring to another level, while expressing your personal style. 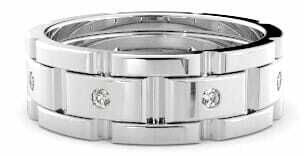 Choosing the perfect wedding ring to mark your union is a deeply personal decision. To make the best choice for you, browse our range online from the privacy of your home or visit our Melbourne showroom to find the perfect diamond wedding ring.